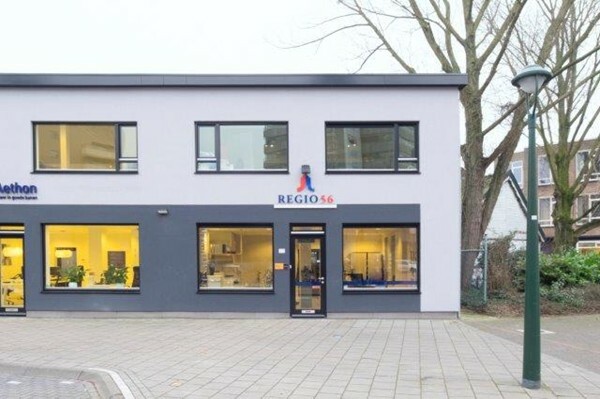 New for rent in Eindhoven! Tastefully soft furnished 2 room apartment located in Stratum. The apartment has a private storage room and a roof terrace at the back side. Located along a park. The apartment is centrally located near several facilities such as the city center, park theater, public transport and roads. Shared entrance at the rear of the apartment. Entrance with mailboxes and doorbells. Enclosed central hall with stairs to the floor and access to the basement. Hall with laminate flooring, videophone and access to all areas. In the hall is a storage cupboard with central heating boiler. Toilet room with toilet and sink. Spacious living room with laminate flooring and lots of light. Open modern kitchen. The kitchen is equipped with worktop with sink, built-in hob (4 gas rings), dishwasher, refrigerator, hood and several drawers and cabinets. Bedroom located to the rear which has laminate flooring, closet and French doors to the terrace. Modern bathroom which is fitted with shower, sink in bathroom furniture and plumbing for washing machine. Spacious roof terrace with wooden decking. -Advice and support costs € 295, - incl VAT.